Everybody admires the sports star that is capable of producing their best under the most extreme pressure at critical moments of the game. The Quarterback who throws the “hail Mary” pass in the dying seconds of the game for the winning touch down. The slugger who smashes the ball into the bleachers when it is bases loaded at the bottom of the 9th inning with his team behind to win the game. The man who sinks the big 3 pointer basket with seconds on the clock to lead his team to victory. Every sports person dreams of producing this type of performance in the white heat of battle, at the vital moment, when their team needs it most, but the reality is that most will not, and the few that do perform these heroics will most likely do it once or twice, or if they are very lucky, a handful of times in their career. Peter Daicos (the great Australian footballer) produced these magical moments almost on a weekly basis. Such was his match winning abilities, Peter Daicos became the most feared and loved sportsman of his generation. The Peter Daicos story begins in the inner Melbourne suburb of Fitzroy on the 20th of September 1961 where to Stamko and Milka Daicos a son was born. The Daicos family had immigrated to Australia in the early 1950′s from the patriotic Macedonian village of Banica in the Lerinsko region of Aegean Macedonia. The Daicos/Daicov clan are a large prominant family that have dispersed to Australia, Canada, USA and the Republic of Macedonia. Peter grew up in a typically patriotic Macedonian house hold in Melbourne in the 1960′s and 1970′s with nothing to suggest the greatness that was to follow. Peter led a typical and unremarkable Aussie upbringing in Melbourne’s working class northern suburbs. Like all kids, Peter and his friends played cricket in summer, and in winter they played football. It became apparent from his early teens that Peter had something that set him apart. Not only did he display an acumen for some of the more sublime skills of Australian football, he had skills that seemed supernatural. It wasn’t long before Peter was invited over to the hallowed turf of Victoria Park to try his luck with the most famous sporting institution in the land. 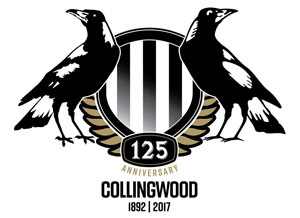 Imagine a team that has the arrogant swagger of the New York Yankees with the history of a Notre Dame and you have a small idea of what Collingwood is about. The hallways have ghosts in the social club at Collingwood’s home ground. The pantheon of heroes since 1892 is a long one, but Peter Daicos would eventually be acknowledged as the greatest. But we are getting ahead of ourselves…. Daicos made his debut in 1979 as a precocious 17 year old and played brilliantly in his first game. There was talk in 1978 of promoting this super talented teenage whiz kid…but at the age of 16, the club thought better of throwing a skinny teenager to the wolves. However, it was obvious to all a star had been born. The media were clamouring to find out more about this teenage prodigy. “Did he play soccer as a kid seeing as he was of a non-angloceltic background?” No. “Was he proud of his Greek background?” Hey! Just wait a minute there…I am MACEDONIAN….not Greek! The media were struck with Daicos’ fiesty answer….this quiet kid who would not say “boo” was determined that everyone should know that he was of Macedonian origin and nothing else. So the media dubbed him “The Macedonian Marvel” and the nickname stuck. In time Peter Daicos would grow into the most worshipped football identity amongst Collingwood fans and the most feared adversary to all rival fans. And nowadays any time Daicos walks down the street or to and from his position in the commentary booth in his capacity as a radio and television commentator, men nudge their young sons and point….”that’s Peter Daicos….the greatest player who ever lived”. And so he was. By 18, Daicos was playing in his first Grand Final (equivalent to the Super Bowl). By 19, Daicos was one of the league’s leading goal kickers and playing in his second Grand Final. 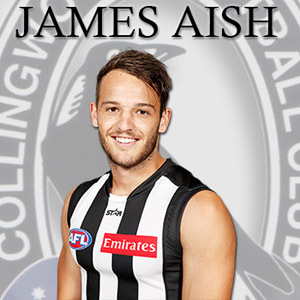 He had also won a host of media awards for his brilliant play and also became the marketing face for Nike in Australia, earning a yearly endorsement fee nearly double his playing contract for Collingwood. Most players would be happy with all this in a whole career, Daicos had achieved all this while still in his teens! With this fame came massive public adulation. Peter Daicos is a quiet and humble guy in the vein of Wayne Gretzky and is liked by all who have met him, but that did not stop Daicos becoming a target both on and off the field. Such was Daicos’ brilliant play and his ability to do the impossible on a regular basis, he naturally became a thorn in the side of opposition teams and by extension of that – opposition fans. He was the subject of death threats, crank calls and other harassment. But, it did not stop Daicos’ brilliance at all, in fact Daicos maintained that it steeled his resolve to play even better. The second downside to Daicos’ emergence as a match winning superstar was the attention it drew from opposition teams. Coaches decreed that to beat Collingwood, you must stop Daicos – and if it couldn’t be done within the rules, it would be done outside the rules. No player in recent history was hunted as much as Daicos. No player was the centre of so much dissecting by opposition coaches and the media. “How do you stop this freak?” was an often asked question. First they tried playing him closely, minding him and attempting to spoil his every move. But, it became apparent that this was not working….Daicos found another gear and would give his opponents the slip. “He was the only player whose arms, legs and hips could move in contradictory directions and yet all be deployed simultaneously to disentangle himself from a would-be predator”, writes poet and unabashed Daicos fan Rob Scott. Playing close, therefore, didn’t always work, which often had opposition players resorting to sheer brute violence. Despite their efforts, they could nearly never catch him as Daicos was so slippery. However, sometimes they did, for he was not the biggest man to play the game and Daicos was to have his front teeth smashed out by the time his career ended. Daicos suffered other more career threatening injuries over the years that had the critics writing him off and declaring him finished on more than one occasion. Daicos was the first person in Australia to have arthroscopic knee surgery in 1980 which kept him out of action for only 4 weeks. Prior to this break through surgery, Daicos would have spent the rest of the season on the sidelines. His second – and more serious – knee injury required a full reconstruction in 1985. Many people doubted that a player that relied so heavily on evasive skills and the violent twisting and turning this put his knees through, could be anywhere near as good after such an operation. Once again though, he proved he had something “else” and, if anything, came back to the game a better, stronger if not quite as fast player. However, the most career threatening injury Daicos sustained was the stress fractures to both feet in 1987. Daicos was confined to a wheel chair and missed much of the season. The critics trumpeted that Daicos was finished. Collingwood evidently thought so as well, for they attempted to trade Daicos to North Melbourne. Daicos was heart broken, but North Melbourne baulked at taking on a player with such crippling injuries and by default Daicos remained a Collingwood player. Daicos felt slighted that the club he had shown so much loyalty to could be so callous after Daicos had rejected lucrative offers to join Richmond in the early ’80′s. When considering the astronomical sums being offered by Richmond for his services in 1983, Daicos relates that his father poured cold water on any possible move by stating simply “Peter, you have made your name at Collingwood – Peter Daicos and Collingwood”. Macedonian loyalty is stronger than any dollar and cannot be bought. Daicos remained at Collingwood for the whole of his career. The love of the Collingwood fans grew by the year because of this loyalty. In 1988 Daicos made a triumphant return to the bigtime. Playing in the midfield, Daicos had a stellar season finishing in the top echelon of most media awards and being selected in the All Australian team. Daicos was back! Collingwood were in a re-building phase and the team was sprinkled with lots of young players. For the first time, Daicos was not the prodigious kid, but now an elder statesman, albeit at the ripe old age of 27! Despite Daicos’ inspirational performances, the young Collingwood team was to go out in straight sets in the finals (play offs). 1989 was also a fantastic season as Daicos swept all before him and was setting new standards with his precise skills. Collingwood shot to premiership favouritism early in the season on the back of Daicos magic. However, yet again Collingwood were to fail in the finals. At the start of the 1990 season, Collingwood had not won a premiership in 32 long years. Despite being the most supported club, despite being the wealthiest club and despite making it into 9 Grand Finals in 32 years, Collingwood always fell short at the last hurdle (sometimes in cruel circumstances). They were branded chokers and worse. Daicos was starting to wonder if he was ever going to hold the Premiership cup aloft on that last Saturday in September. So many near misses, yet so far away. It would be a travesty if Daicos did not get the chance to taste the ultimate success. In round 2 versus arch enemy Carlton, Daicos had started the game slowly and appeared somewhat sluggish. During the second quarter Daicos was swung into the forward line for the first time since the early 1980′s. Daicos went beserk and was unstoppable. He kicked 7 freakish goals and led Collingwood to a narrow victory over the old foe. Daicos remained in the forward line for the rest of 1990 as well as throughout the twilight of his illustrious career. Game after game Daicos adroitly displayed every skill in the book as well as a few which were not. Booming goals from 60 metres out, “impossible” snap goals from the boundary lines, one handed marks, right foot goals, left foot goals. 1990 became the compact highlights of Daicos’ career all rolled into one season. Every week Daicos hit the headlines with his amazing play. “MACEDONIAN MARVEL SINKS BLUES”, “MACEDONIAN MAGICIAN CONJURES VICTORY”, the superlatives from the typewriters of the scribes continued to flow. Collingwood were playing an excellent brand of football, but Essendon were one step ahead all through the season and appeared to have all the answers leading into the finals. Daicos played a leading hand in each of the 3 finals matches leading into the grand final. At 30 years of age, Peter Daicos felt this was his last chance at getting his hands onto the Holy Grail. Leading into the grand final, Daicos had racked up 95 glorious goals for the season – already a record for a non full forward (which still stands). How would Daicos perform in this the final stanza of a wonderful career? The grand final got underway with Collingwood doing all the attacking, but goals were proving hard to get. Minute after minute and wave after attacking Collingwood wave were repulsed by the Essendon defence. Essendon swept the ball forward to the 6’9″ goliath Paul Salmon who kicked 2 quick goals to have the Essendon fans full of voice. Surely Collingwood wouldn’t fail yet again? Cometh the hour – cometh the man. The ball was being swept up and down the ground and in one passage Collingwood big man Craig Starcevich lunged at the ball and pushed it 20 metres towards the boundary line. The Essendon players were content to let the ball run out of play in search of some respite, but there lurking to their horror was Daicos! Swooping on the ball with a poachers instinct only inches before the line, Daicos strided away from the forlorn tackling attempt of Peter Cransberg and virtually standing on the boundary line 35 metres out with no daylight showing between the posts, with the crowd rising to their feet in anticipation, Daicos threaded the eye of a needle. A goal for the ages! The bombastic volley of 100,000 spectators screaming as one signaled the out come of this moment of genius – Collingwood had broken the ice! In the second quarter Collingwood dominated proceedings. Daicos was kept in check by the Essendon defence, but his team mates ran riot. In the 3rd quarter Daicos left his last embellishment on this momentous day with yet another freakish goal from an impossible angle. It was an encore that will live in the memory of fans for as long as the game is played. Daicos kicked 2 goals in a low scoring grand final and narrowly missed topping the magical 100 goals for the season. 97 goals was a monumental effort and a record that is unlikely to be broken by a small forward. When Collingwood captain Tony Shaw held the cup aloft in triumph, Daicos beckoned him to hand over the cup and implored his jubilant team mates to run the victory lap of the MCG at his pace. With the cup firmly in Daicos’ hands Collingwood ran (walked actually) the slowest victory lap in history allowing the delirious Collingwood fans to soak in the moment of triumph. Daicos’ famous toothless grin, worn so proudly on the day he finally held the Cup in glorious victory, bore testimony to some of the battles he had waged in his efforts to win the ball and display his divine talent. It takes many stirling performances from many players for a team to win a premiership cup, but no-one could argue, that this was Daicos’ cup. At times Daicos had single handedly lifted his team out of trouble during the year with his miraculous play – none of his teammates would begrudge him this moment. Daicos would play on for three more seasons with 1991 and 1992 being very successful from a personal point of view. After having climbed Everest, the Collingwood team never scaled those heights again in Daicos’ imperious reign. Highlights in this time include a 13 goal rampage against the Brisbane Bears with his poor unfortunate opponent that night being John Gastev another AFL player of Macedonian origin, and the famous “Battle of the Slavs” when young first year sensation Allen Jakovich took the competition by storm with his goal kicking abilities. Jakovich – who is of Croatian extraction – heaped praise on Daicos at press conferences when the media asked him how it felt to be compared to the “Macedonian Magician”. Jakovich admitted that he had idolized Daicos when he was growing up. The scene was set, Collingwood vs Melbourne at the MCG, but more importantly the media billed it as “The Battle of the Slavs”, Daicos the grand master vs Jakovich the young heir apparent. Jakovich opened proceedings with a freakish snap goal over his shoulder from the boundary line that Daicos himself would have been proud of. Minutes later, the ball fell into Daicos’ hands and the master proceeded to kick an amazing bouncing goal. With the crowd erupting the commentator gushed “Don’t tell me!, DON’T TELL ME! anything Jakovich can do, the MACEDONIAN MARVEL CAN DO BETTER!” Daicos kicked 6 goals to Jakovich’s 5 and thus emerged victorious in this media inspired showdown of biblical proportions. With his fitness and form tapering towards the end of 1992, Collingwood yet again fell agonizingly short in the finals. 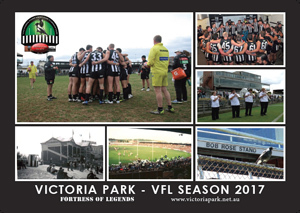 Daicos had – overall – a fantastic season, however, there were some murmuring in the media and within the inner sanctum of Collingwood that perhaps Daicos was mortal after all and that his end was nigh. Daicos’ swan song came in the early part of the 1993 season. In yet another challenge to his superiority, Daicos rose to the occasion to kick 8 unforgettable goals against a rampant Geelong and their brilliant spearhead Gary Ablett. Leading Collingwood to a comfortable victory, Daicos saluted the adoring masses not knowing that he would only play two more games because of crippling injury. Over the summer of 93-94 the club made a decision to force retirement upon Peter Daicos. Experts and opposition coaches questioned the wisdom of the decision to retire the ageing superstar believing that Daicos like a phoenix could confound everybody and rise yet again from the ashes. Daicos wished to play on and other clubs were enthusiastic about the prospect of drafting a franchise player. However, with the words of his father still in his mind, “Peter Daicos and Collingwood”, Daicos decided that he could never play for any other team. His heart could never be in it. One player stated that “you would have to mind Daicos’ tombstone in the forward pocket at Victoria Park”, implying that even if Daicos was dead, he would resurrect and do something amazing. The AFL decreed that Collingwood’s clash with the old foe Carlton at the MCG would be an appropriate day for Peter Daicos to run a final lap of honour as a fitting farewell to an illustrious career. On a sunny autumn (fall) day 1994, Daicos resplendent in his playing gear walked a lap of the famous stadium for one last time. Holding his little 2 year old daughter Madison in his arms, Daicos waved to the crowd as he walked around the scene of so many of his greatest triumphs in the grand old stadium. Many fans with tears in their eyes clapped and cheered their hero and even Carlton fans sportingly rose to their feet to honour the player who had tormented them with his brilliance so many times in the past. But, that is Peter Daicos, so likeable that everyone seemed to love him. How does one put into words the sheer artistry of the maestro? “Daicos, moved as if to touch him would have meant his instant eradication. It was as if he craved freedom more than anyone else on the field”, observes Rob Scott. “If he found some space, he expressed himself in the manner of unconventionality borne by freedom itself”, he says. One hundred thousand words could never do justice to the poetry in motion of Daicos’s silky movement and uncanny abilities that gave so much enjoyment to so many people. How big was Peter Daicos in his peak? Think of Micky Mantle, Wayne Gretzky and Michael Jordon and you have some idea as to the level of adoration that was bestowed on Peter the Great. Much like Gretzky, Daicos remains an affable gentleman that makes all in his presence feel at ease with his down to earth personality. A much loved television commentator and a living legend, the Peter Daicos story continues. In this world crying out for heroes who live by a higher code of moral conduct and enrich all those that come into contact with them, Daicos is a throw back to a different age. Peter Daicos will remain forever young in the minds of the Collingwood fans. The youthful prodigy with the fair hair and blazing blue eyes doing the impossible on cue like a magician. Running in the September sun kicking impossible goals. Warming the cockles of the heart with a dose of genius in the depths of winter. The memories of Peter Daicos will always be golden and he will never be forgotten.